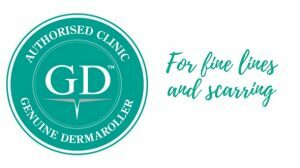 The treatment itself (also known as dermapenor dermaroller) is a form of collagen induction therapy, to help increase the skin’s collagen and skin elasticity to improve lines, pigmentation, age spots and scarring*. A series of needles penetrate the skin at a perpendicular angle using a mechanical device. The body’s natural healing response is what regenerates and improves the skin. The treatment time depends on the size of the area and can take up to 20 minutes for an area the size of a full face, larger areas such as on the back, shoulders and chest may take longer. All clients have a full review of their medical history prior to undergoing any treatments to check for suitability. Finally giving you after care advice and take home skin care products. Does it hurt? We use topical anaesthetics that are very effective when applied for the correct length of time. How long does it take? You will need to allocate about 60 mins to allow time for both the topical anaesthetic and the treatment itself. You will be given a good indication of time during your consultation. How much does it cost? From £100 depending on the size of the area treated. You will be given an accurate price using our sizing chart during your consultation. How does it work? After collagen induction therapy treatment your body will start to naturally regenerate and repair the skin, working below the surface in the dermis. New collagen is formed, new skin cells are generated and blood supply is enhanced after the treatment and can take up to 6 weeks before visible signs of regeneration and repair are seen. How long does it last? The process will continue over the following months, providing you with a natural and long lasting enhancement. This is your own collagen, so there is no need to wait for a product to break down, meaning the repair is permanent until your body breaks down collagen as it naturally would through aging. How will my skin look? Initially the skin will look red and can even look slightly swollen for 48 hours. Then the skin will start to look dry. We will give you skin repair cream to help with this. After that the skin will look brighter and more vibrant, then approximately six weeks later the regeneration and repair process starts to tighten the skin and reduce hyper pigmentation. How many treatments will I need for rejuvenation? The number of treatments required will depend on the condition of your skin at the start of the treatment e.g. age spots & wrinkles. We recommend a minimum course of 2 treatments to achieve smoother skin. *Results vary from person to person, so having a consultation tailored to your face and your desired results can give you a firm foundation in making a decision on what is right for you.